Have a question or comment regarding dealers, vehicle repairs or parts? 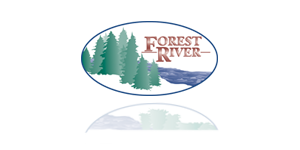 Click on the appropriate division name below to contact a specific Forest River, Inc., division by e-mail, phone or mail. If you are a current RV owner, many useful topics can be found in our Tools menu. At Forest River, customer satisfaction is our #1 priority. Accordingly, we want to assure that your questions are answered and any issues you may have are resolved. Please be sure to first direct your product questions or concerns to the appropriate division listed below.